Samsung and T-Mobile had the the Galaxy S Blaze 4G on the show floor during Mobile World Congress, where I first had a chance to check out the new dual-core Android smartphone. At first I was curious as to why T-Mobile USA would launch such a device: it runs Android 2.3 Gingerbread and not the newer Android 4.0 Ice Cream Sandwich operating system. 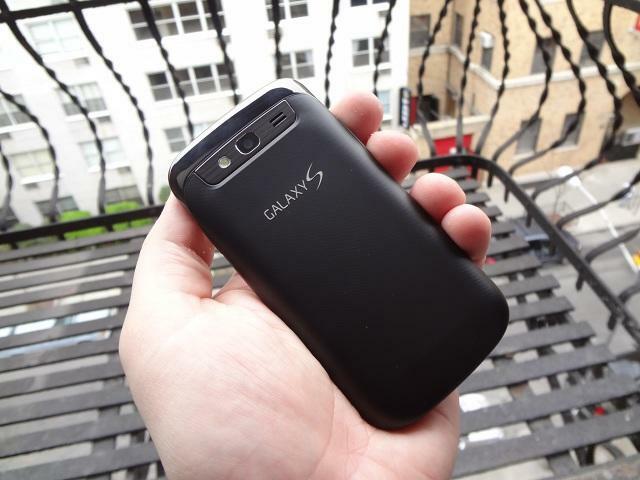 I also believe T-Mobile USA's Galaxy S II already filled the gap where the S Blaze 4G might sit. 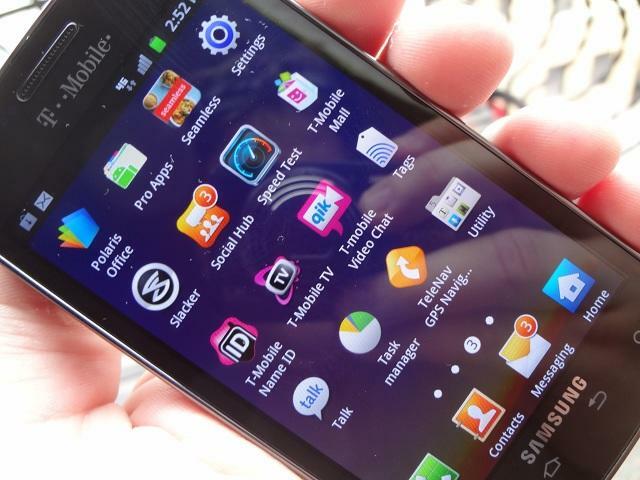 However, after spending the past week with the phone, I see where the value proposition for the Galaxy S Blaze 4G is. I think, anyway. I'll take you through the ups and downs of the device in my review. 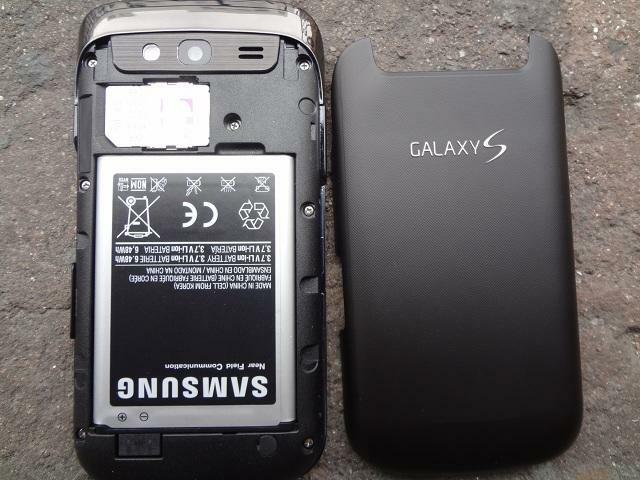 It's really wild how much the back of the Galaxy S Blaze 4G looks like the back of RIM's Torch 9860/9850 smartphones — like, close enough for an intellectual property lawsuit. But I suppose that's a good thing for Samsung, especially if it wants to attract business users, who are accustomed to RIM's devices, to its Android smartphones. The Blaze 4G offers a 3.97-inch Super AMOLED display with an 800 x 480-pixel resolution. I love Samsung's Super AMOLED Plus displays — a step up from the screen on the Blaze 4G — they're among the best on the market when it comes to beautiful, popping colors, but they're also a bit hard to view under direct sunlight. There's a 1.3-megapixel front-facing camera just above the display and four touch-sensitive buttons for the menu, home, return and search, below the screen. The soft-touch black back of the Blaze 4G is home to a 5-megapixel camera and a single LED flash and is accented by a metal bar that starts above the camera and runs down the sides of the phone. Again, just like the BlackBerry Torch 9860. There's a 3.5mm headphone jack on top of the phone, a power button and microSD card hatch on the right-side of the device, a microUSB charging port on the bottom and a volume rocker on the left-hand side of the phone. Overall, I love the size of the Blaze 4G. Its roughly 4-inch screen is a sweet spot for me — even as a current Galaxy Note user — it felt comfortable cradled in my palm and was always easy to use with one-hand. The phone is powered by a dual-core Qualcomm Snapdragon S3 processor clocked at 1.5GHz. It's also equipped with a 5-megapixel camera, NFC, a 1.3-megapixel front-facing camera for video chat, 4GB of storage and 1GB of RAM. Those specs pretty much solidify it as a mid-range device, especially taking into consideration the quad-core phones announced at Mobile World Congress that will soon be landing in the U.S. in one form another. The processor cruised through everything I threw at it and didn't struggle at all while opening and closing applications or navigating through menus. 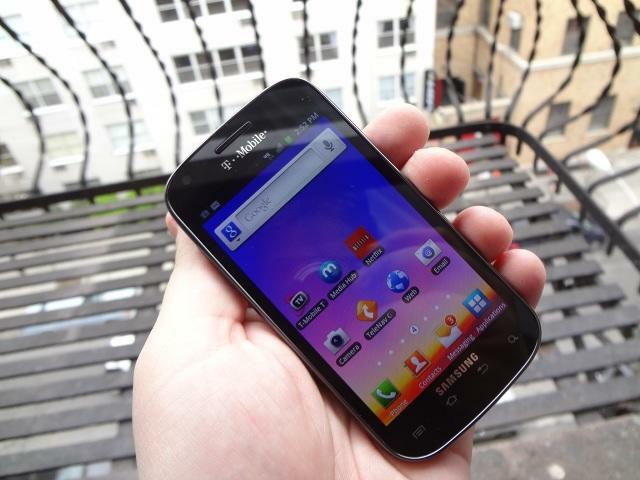 The Galaxy S Blaze 4G runs Android 2.3 Gingerbread, which means it's not powered by the latest Android 4.0 Ice Cream Sandwich operating system. It also runs Samsung's custom TouchWiz user interface that I've grown to like over the years, even though I still prefer a barebones Android experience. T-Mobile, unfortunately, loaded the Blaze 4G with tons of bloatware including three seemingly useless homescreen widgets, 411 & More, Game Base, More for Me, MobileLife Organizer, Lookout Security, Pro Apps, Slacker Radio, Netflix, Polaris Office, T-Mobile TV, T-Mobile Video Chat, T-Mobile Mall, T-Mobile Name ID, Zinio and Yelp. I'm sure there are plenty of users that will find several of those apps useful — namely Yelp and Lookout Security — but it should be up to the user to install these applications not T-Mobile. Worse, you can't manually uninstall most of them. There's a unique "Tags" application that takes advantage of the phone's NFC support. Unfortunately, however, I wasn't able to install Google Wallet to use the Blaze 4G as a device for making mobile payments at the nearby locations that accept Google Wallet. Also, I have no idea where the nearest NFC-activated "tag" is that I could use, although I suspect advertisements, such as movie posters, and more, will support the feature in the future. The Blaze 4G is equipped with a 5-megapixel camera, which is a step below the 8-megapixel camera you'll find the on Galaxy S II. I didn't expect to be blown away by the quality of the photos I shot, but I actually really enjoyed the images that I took. 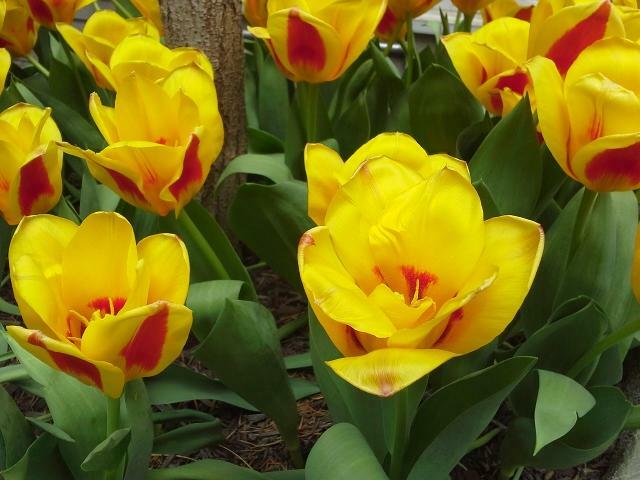 Note the colors and details in the flowers above — not bad for a smartphone camera. The camera is also capable of recording 720p HD video, which looked just OK when I played it back on my computer. There was a bit of grain and distortion when I moved the phone around while filming, but otherwise the video was quite crisp. T-Mobile says the Blaze 4G supports its fastest 42Mbps HSPA+ "4G" data networks. 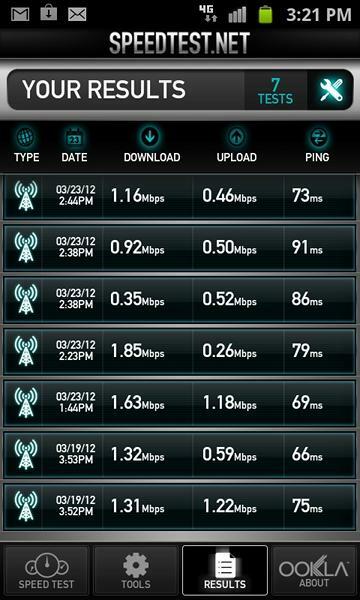 I've seen a lot of reviewers who have reported excellent data speeds that exceed 10Mbps down and 5Mbps up. However, that has not been my experience in New York City. In my apartment I averaged about 1-3Mbps down (the faster results aren't pictured in the image below) and roughly 0.5Mbps up. Those figures were worse when I tested it at various locations around my neighborhood. T-Mobile USA gave me a list of locations where I would find optimized data speeds, including two locations in Manhattan that are about 15 minutes away from my apartment. I'll test the phone in those locations over the weekend and update my review, but I think consumers need to read about the types of speeds that I've seen in real life, not just those that can be achieved in "optimized testing locations." AT&T and Verizon, by comparison, offer 4G LTE networks in New York City that blanked the metropolitan area almost entirely — I'm not sure why I need to find two special locations to get speeds that compete with 4G LTE throughput. I have no complaints when it comes to the call quality on the Blaze 4G. I did find that the signal dropped when I was deep inside my favorite coffee shop, where AT&T also typically loses its signal, but overall my phone calls were crisp and I didn't experience a dropped call during my testing (although it's bound to happen no matter what carrier you're on). The speakerphone was loud enough that I could easily hear my caller with the phone on my desk, but I found it was distorted at higher volumes. This was also noticeable when I played music back through the device. The Blaze 4G has a 1,750mAh battery that's advertised to provide up to 7 hours of talk time. I was able to get through a full day using the device moderately without having to worry about plugging it in, but heavier users will likely need to charge it at least one during the day. I like the Galaxy S Blaze 4G a lot. I like that it has the potential to offer data speeds that compete with 4G LTE networks, thanks to its HSPA+ 42Mbps support, but I'm disappointed that T-Mobile's network isn't as widespread and doesn't even cover the whole of Manhattan. The network aside, there's nothing inherently wrong with the Galaxy S Blaze 4G: it's a beautiful phone that should cater well to the corporate bunch and consumers alike: it runs quickly, has a decent camera and calls were solid. But if you want to hold off entirely, I'd wait and see how the HTC One S fares when it launches later this year.